Ive owned Fords since I was in the 8th grade and not once have I ever said to myself "dang, Ford did a good job with that oil filter placement right there". With that being said, my 2014 is the 3rd relocation Ive done to make my life a little easier/ cleaner. 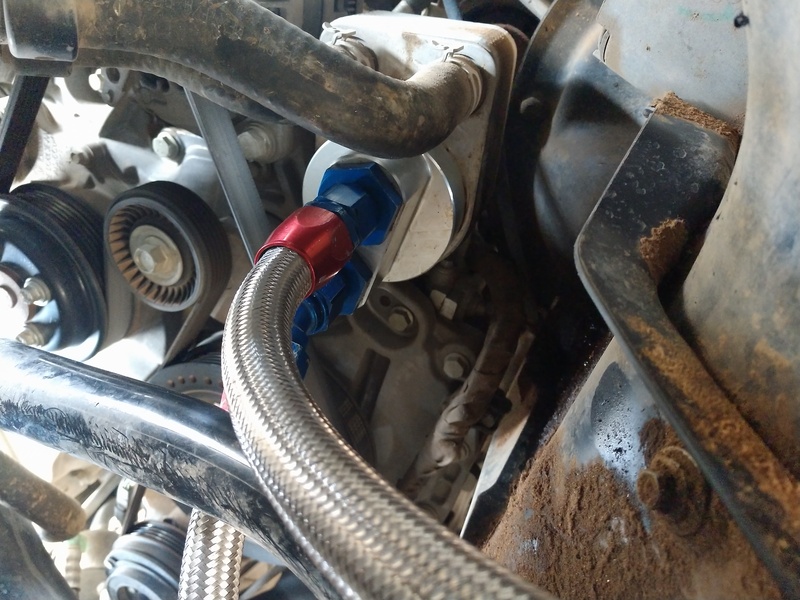 I need to shorten the hoses a little bit and get another straight AN hose end but its all I had at the time of the project and I think it turned out pretty well. I did notice a little bit of an audible vibration at low rpm since the remote mount was mounted to a body member but Ive since added some rubber vibration isolators and the results are pleasing. 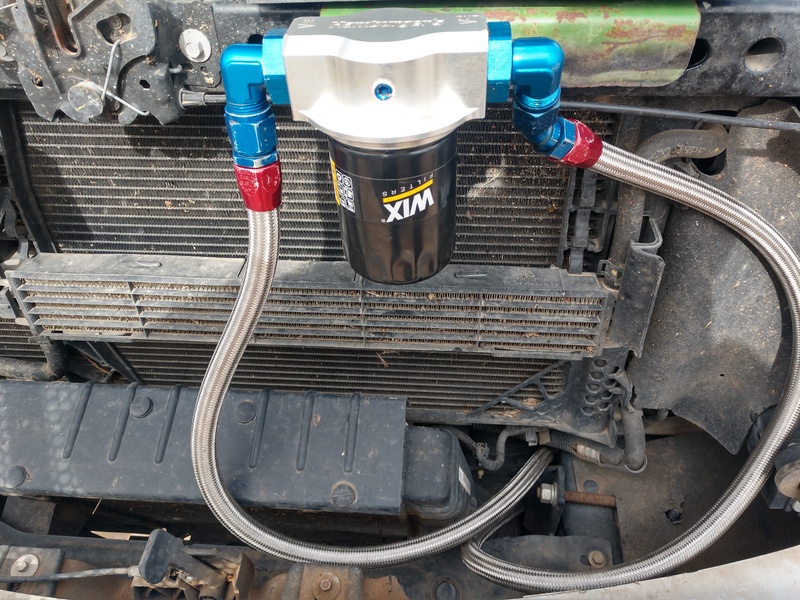 The bypass and filter base came from Hamburgers Performance, the hose/ends from Earls AN parts, an adapter to continue using the factory filter from Ebay, and the green plate from a John Deere 105 combine. Attached are the results. All that time and investment and it's not worth 3 minutes with a can of black spray paint to fix up that bracket? Is there some sentimental value to the green metal? agpilot77 and BobRoss like this. F*ck I-594.. I wont comply! Nothing sentimental at all, I just ran out of time when I was doing this. 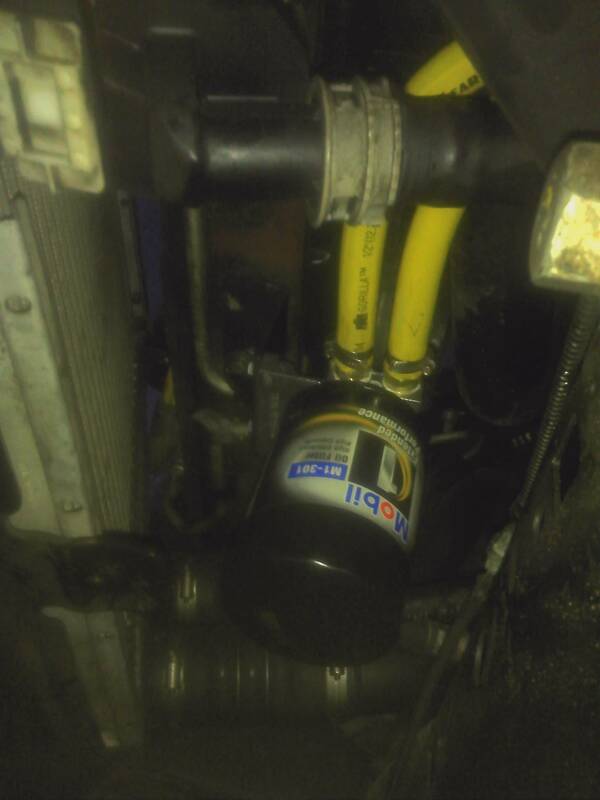 Ill paint it and shorten the hoses at the next oil change. Interesting idea you had there. Is this the permanent location? I think so. It took me a while to settle on this location to minimize fabricating/drilling for the mount. They really do pack stuff in there! Good job on the relocation. 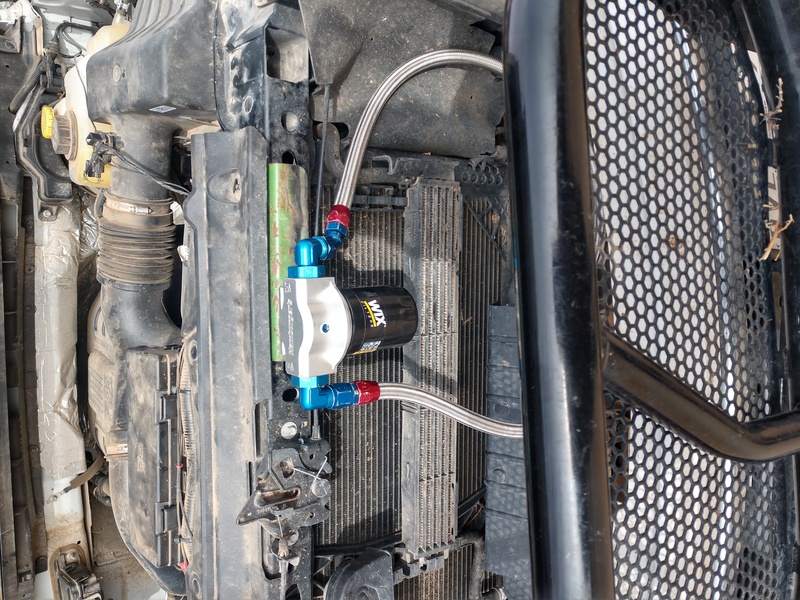 I did a dual filter relocation and mounter it to the lower intercooler support on my 2011 ECOBoost. 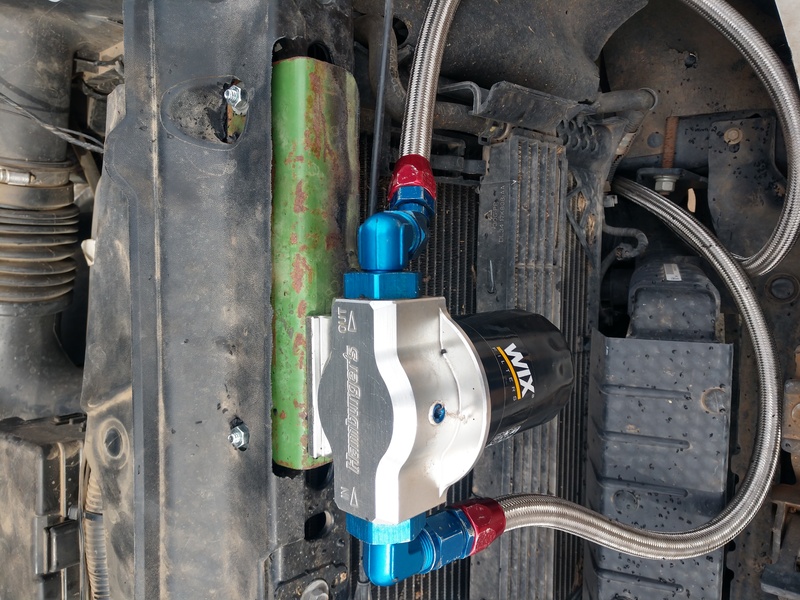 After you shorten the hoses you might want to add some plastic hose protection where the braided hose touches other surfaces or even rubber mounted clamps. 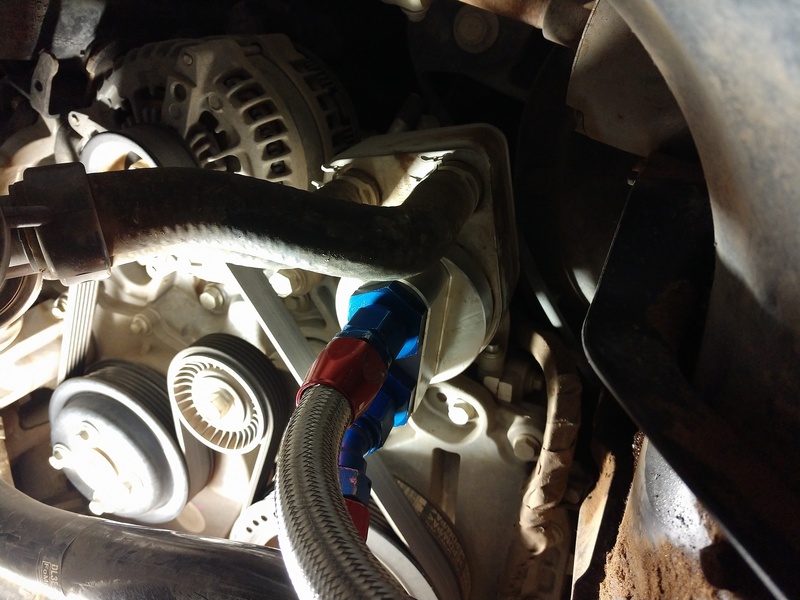 I use split corrugated plastic hose covering on mine. 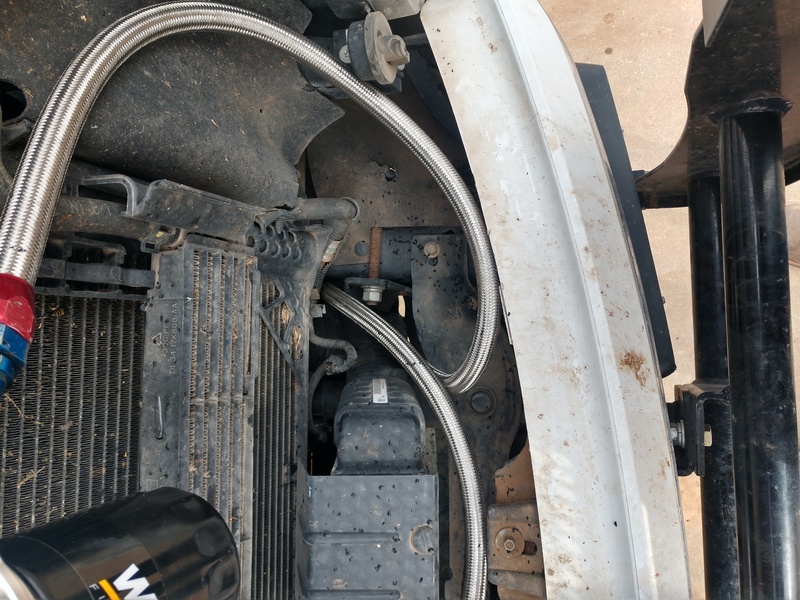 Recheck the adaptor plate on the cooler after a few miles. Mine loosed up a bit. I check it every other oil change now and it's staying tight. 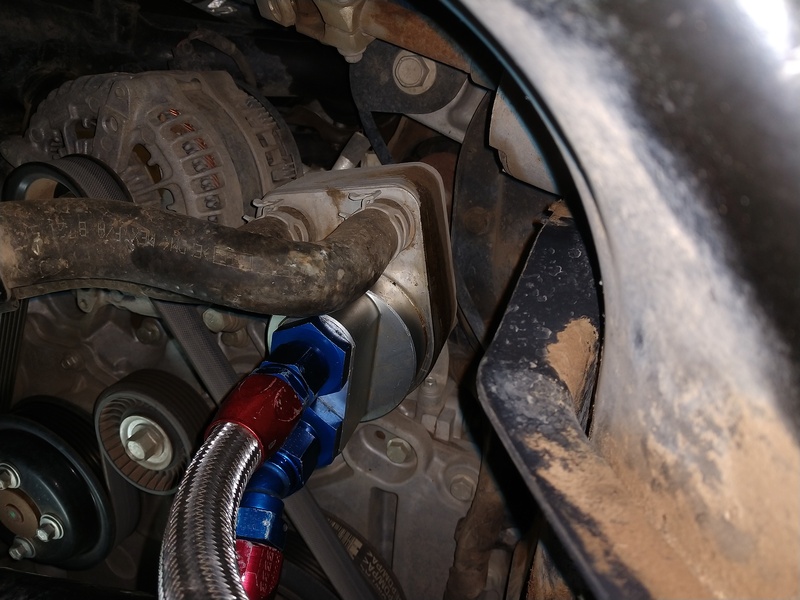 In my opinion, the relocation is too high... the feed line from engine to filter will drain back when engine is off, and give you too big of air pocket causing for dry starts. 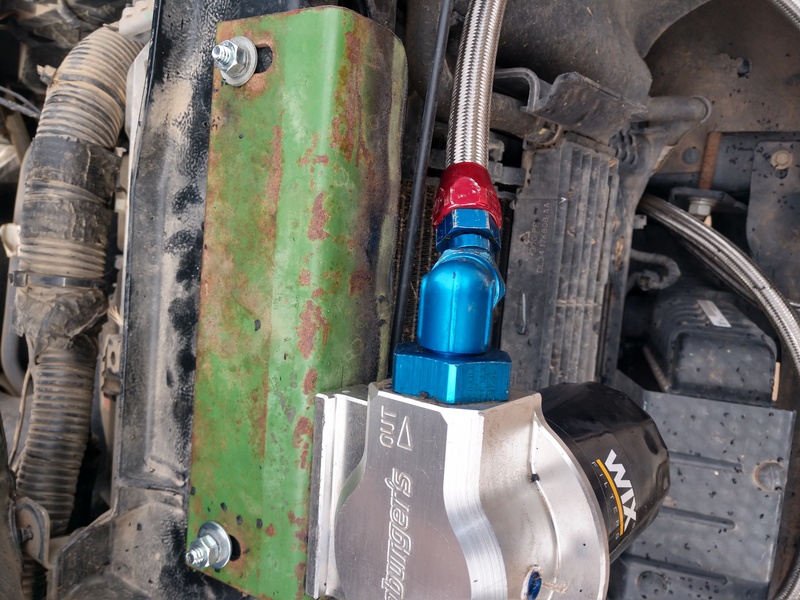 I put mine behind the intercooler, like @Beaker80... same height as original, and much shorter hoses. Last edited by noodles; 03-22-2019 at 07:07 PM. snakebitten, Mikedick77, Beaker80 and 1 others like this. 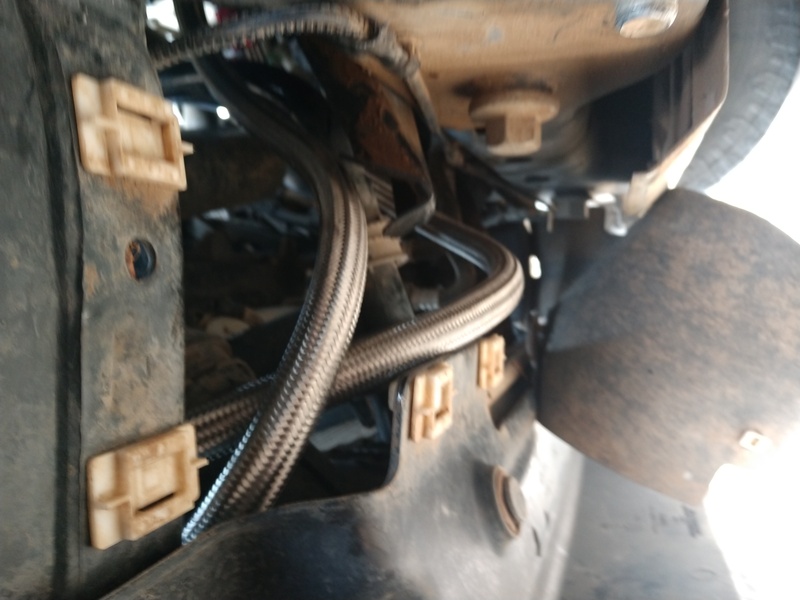 I had mine similar to Noodles but the gasket that was on the plat that went to the engine sprung a leak (that blew all the oil out) and I removed it. I would like to install a new one, with better parts, but just haven't bit the bullet yet. Sure was nice to have it in front and when unscrewing it the oil didn't drip on anything.